Perhaps because one cannot apply them thru the app, and it would require some engineering to allow this. To sell GGU fares, the app would also need to be able to store/retrieve the GGU codes and allow you to apply them in a timely manner, which it currently doesn't/can't. JacksonFlyer and eponymous_coward like this. Hey, it's not like iOS has ways to securely store password credentials or credit card information like TouchID or FaceID, amirite? Early front-runner for post of the year! I wish they would do something with the app... the improvements since 2009 have been glacial. Native iPad resolution support would be a nice (small) start. All joking aside, I agree with above posters who said BRING US THE SQ AWARDS YOU PROMISED about two weeks after Noah let the giraffes off the barge. Lol. Yes, of course the reason it's not in the app is because they haven't bothered to code it. My point was: How come Alaska basically stopped adding features to the app about four years ago?? And I'd be surprised if Mobile app developers are working on partner awards. 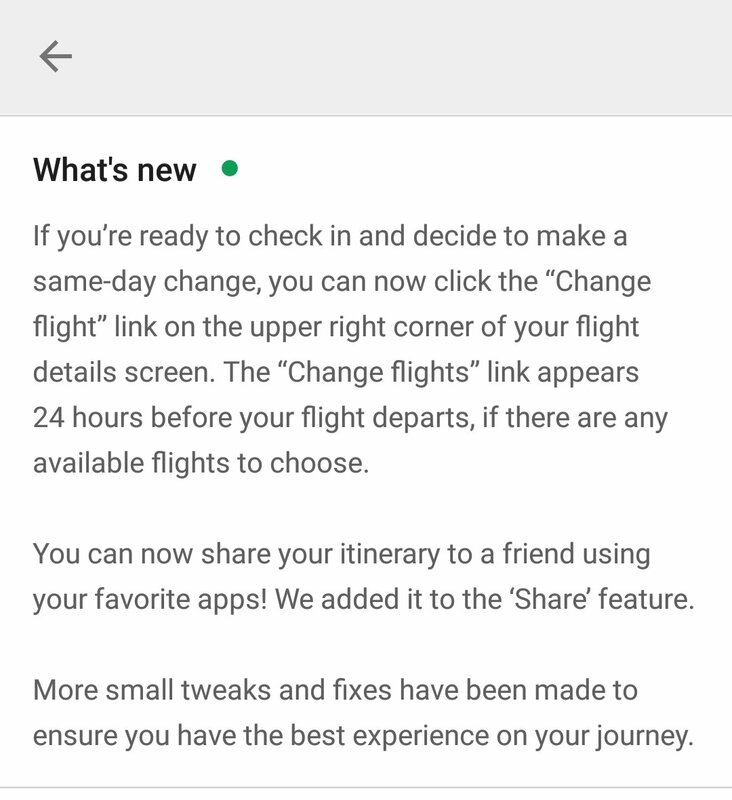 Hopefully they are working on automatically bringing itineraries booked elsewhere into the app. I’m with ya. Heck, it would be great if the app allowed to you remove or hide reservations. App last updated January 9th, 2019. Yes I have the latest version. Change flights has been there for a year. Most of the times I have tried it, it has failed and causes problems. So I stick to calling. Sharing my itinerary with friends via my favorite apps? Please. What a waste of time. If you book a reservation for someone else while logged in to your Alaska account, it’s added to YOUR list of future reservations with no way to remove it until the flight is completed.